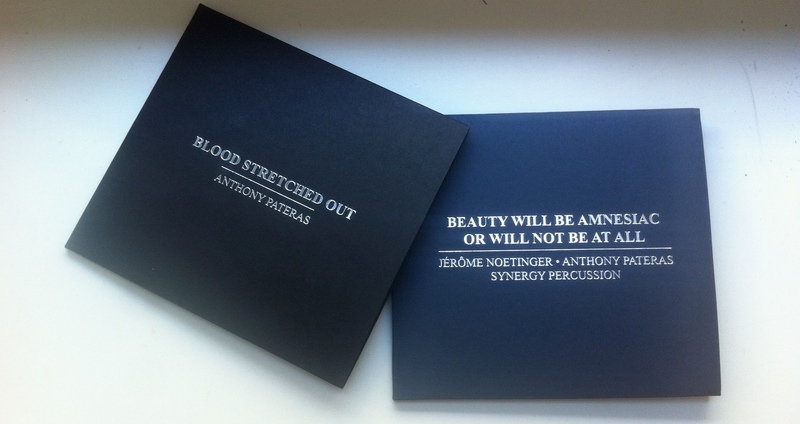 Anthony Pateras releases “Blood Stretched Out” on Immediata Label – Chain D.L.K. Two releases out on Immediata label as of this week. The 1st is my first proper solo piano album since 2007's Chasms. It's called Blood Stretched Out (IMM008) and features the title track recorded live in Switzerland last year. I'll spare you the pointless adjectives and 3rd person commentary but I'm really happy with it. The 2nd has been ages in the making. Beauty Will Be Amnesiac Or Will Not Be At All (IMM009) is an hour long piece that I wrote for Synergy Percussion over 2 years in between moving between Melbourne, Brussels and Berlin. I made the electronics from improvisations with Jérôme Noetinger and it is performed here wonderfully by it's commissioners live at Carriageworks in Sydney. As with all Immediata releases there is a big text component, and I'm especially happy with IMM009's interviews with Jérôme and the founding editor of seimotext(e) Sylvère Lotringer, from whom I got the title. You can listen on Soundcloud, download on Bandcamp or order physical from Metamkine or Rumpsti-Pumpsti. You can also buy one from me. Limited edition of 300 like always.